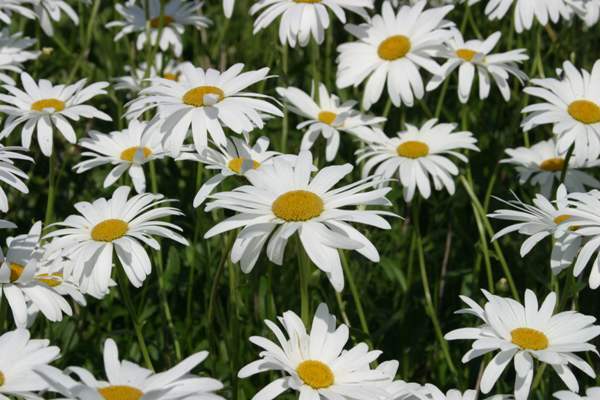 Other common names for this very common perennial wild flower are ox-eye daisy and dog daisy. 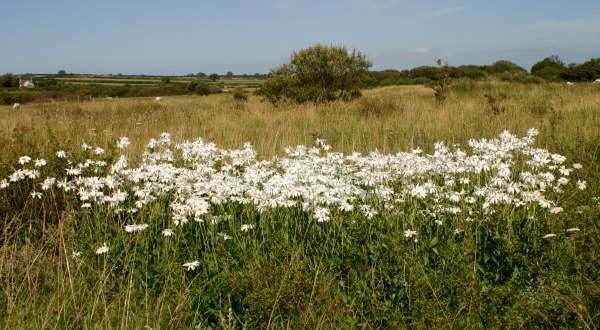 Marguerites are often to be seen in great abundance on roadsides and slopes beside rivers and streams in Wales. They reach a height of typically 30 to 80 cm, but on wind-swept cliffs they adapt to conditions and crouch low among the grass. The flowers, which are typically between 2.5 cm and 5 cm in diameter, first appear in May, and blooming usually continues into September.